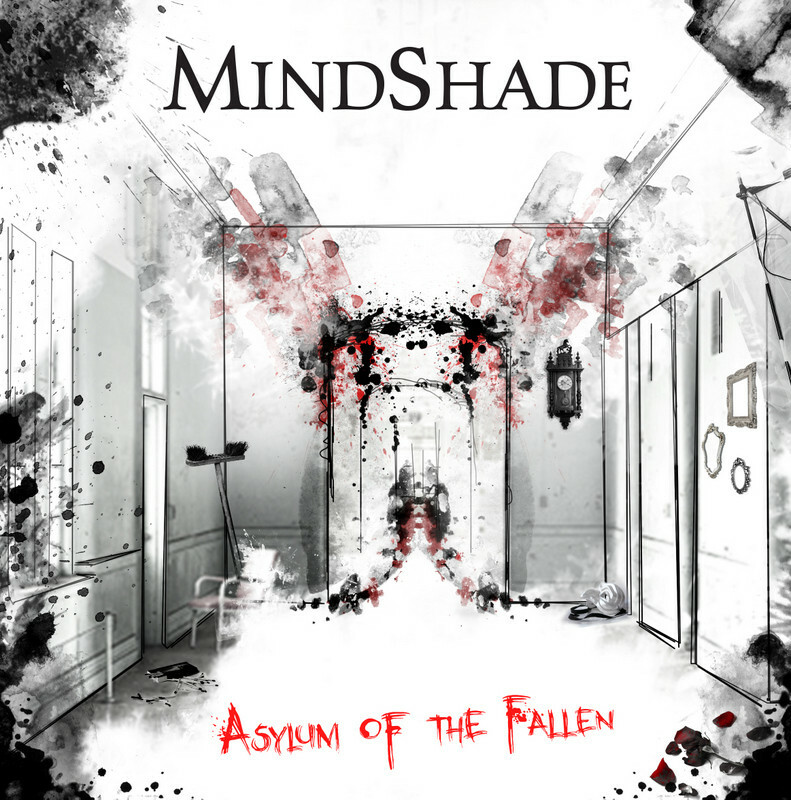 Mindshade are a Dutch self-professed gothic metal band, formed in 2007 by Jeroen van Noort and Norbert Veenbrink. In 2009 the band released their self-titled demo, and after some additions to the line up the band is back with their self-released debut album Asylum Of The Fallen. Asylum Of The Fallen contains ten tracks, including both an intro and an outro. Immediately I felt robbed, until I skimmed through the track list where I see that we have three songs around the seven minute mark. Plenty to sink my teeth into, and I did exactly that. Both the intro and outro do nothing for me and I feel that the album would be better presented without the forty second snippets, pulling more of a punch if it would have launched straight into Equilibrium. Don't Walk Astray is the first of songs around the seven minute mark. It starts slow and ballad like but builds into something more progressive before fading out the way it begun. Carnival Of Fools while vocally weak, is musically stronger (and heavier even) than most tracks on the debut. Another seven minuter – Restrained In Solitude – is slower, even slightly sludgy on the bass lines, combined with some mild folk elements. Progressions throughout the album and songs individually seems to be the band's stronger point, and with some work the band could make something beautiful from this. The use of doom and folk elements here and there certainly add a dash of character, but not enough to draw one in. As far as gothic metal tends to go these days Mindshade's debut ticks all the right boxes, yet I can't help but feel that it is an uninspiring album. While being easy to listen to and enjoyable, I find it lacking flair. Part of me feels like the band released Asylum Of The Fallen too soon, as the vocals lack confidence and the music doesn't feel developed to it's full potential. May be time will tell with the band's second album and we will get a look at how the band can really be.